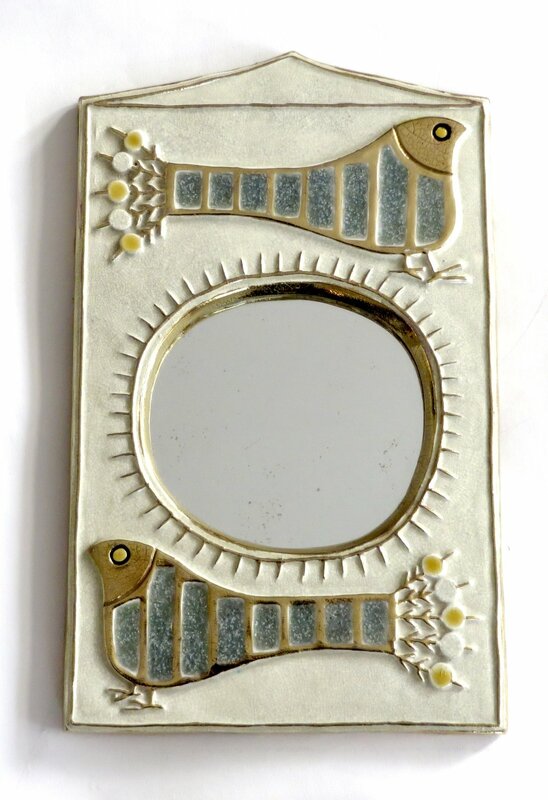 A French ceramic mirror by Francois Lembo of Vallauris with stylized bird motif and sun motif. Very pale blue and green colors with iconic gold Lembo glaze on a creamy white glazed background. Back in typical felt of Lembo. Excellent condition with no chips or restorations.